It’s beginning to look as though the GOPe establishment was just playing possum after the Indiana primary and never had any intention of allowing Donald Trump to emerge from the convention as the party nominee. Since Trump won in the Hoosier State and ran both Ted Cruz and John Kasich out of the race he has been subjected to a ceaseless bombardment of negativity and smears from a media that is firmly in the bag for Hillary Clinton. Compounding Trump’s troubles is the fact that no Republicans are so much as lifting a finger to defend him from the bombardment of scurrilous smear pieces and politically motivated hit jobs. Now the big names are joining the conniving insider delegates in calling for the overthrow of Trump in Cleveland. Now on deck is former presidential candidate Scott Walker who lacked the stomach for the battle and slinked off with his tail between his legs before the race even heated up. Wisconsin Gov. Scott Walker said Tuesday he agrees that delegates to the Republican national convention should be free to vote their conscience, even if that means not supporting presumptive nominee Donald Trump. Walker is a former presidential candidate and a delegate to the convention next month. He told reporters following a groundbreaking at a sausage factory that he will follow Wisconsin Republican Party rules and cast his ballot for Texas Sen. Ted Cruz in the first round because Cruz won the state primary. But he also left open the possibility that the rules could change between now and the convention next month, and gave credence to House Speaker Paul Ryan’s comments from last week that delegates should vote their conscience. Under Wisconsin rules, at-large delegates like Walker are bound to vote for whichever candidate won statewide. Cruz beat Trump by 13 points on April 5, the billionaire’s last defeat before becoming the presumptive nominee. Delegates can switch their votes to another candidate only if they are released or the candidate fails to get 30 percent of the vote in any round at the convention. Walker’s comments show that the Cheesehead Mafia is still sizing up the Donald for a pair of cement shoes. While the Wisconsin Governor stopped just short of throwing his name into consideration for the nod if Operation Dump Donald is a success, both he and fellow Wisconsinite Paul Ryan would be on the short list to go up against Hillary Clinton this fall. Trump’s inexperience as a politician is really beginning to show in that he has failed to protect himself from the devious backstabbers who all stand to lose their stranglehold on the Republican party if he is indeed nominated, he should never have extended an olive branch to any of these weasels and now he’s paying for that grave error in judgement. 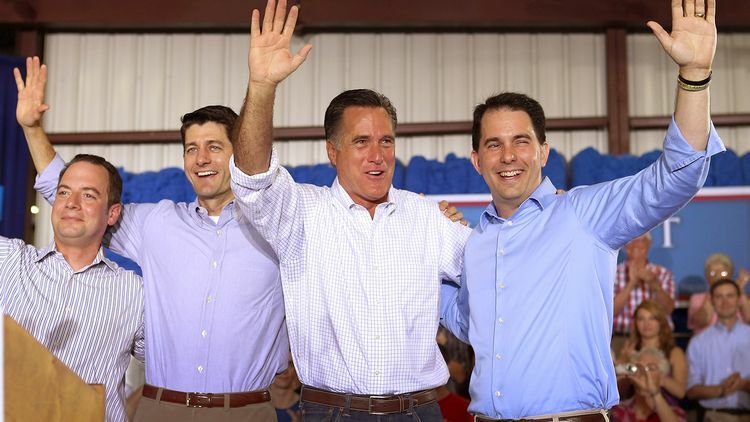 Walker will no doubt be joined by many more big names in the coming weeks as more knives are planted in Trump’s back by his own party which will all but certainly put the Clinton Crime family back into the White House with 3-4 Supreme Court spots up for grabs.